These resin decorations are a great way to add your own unique decorations to your collection. 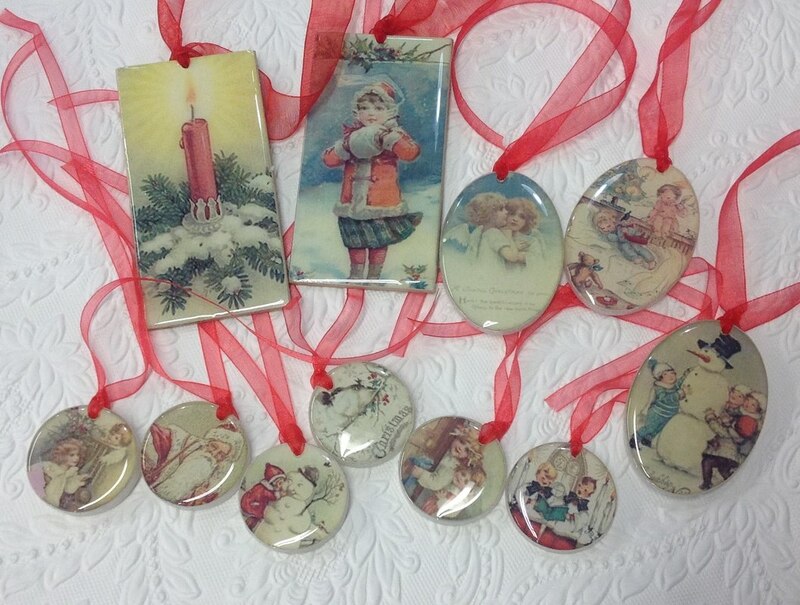 You will make a set of 6 round charms, 3 large oval decorations and 2 extra large Tag/Decorations. These can be used as Christmas tags or pop them into an envelope and send overseas for a cute lightweight gift. There is a large selection of images to choose from. Year after year these are a popular choice in our Christmas Workshop range. $50 for 6 charms. 3 large oval and 2 extra large decoration/tags all materials supplied.